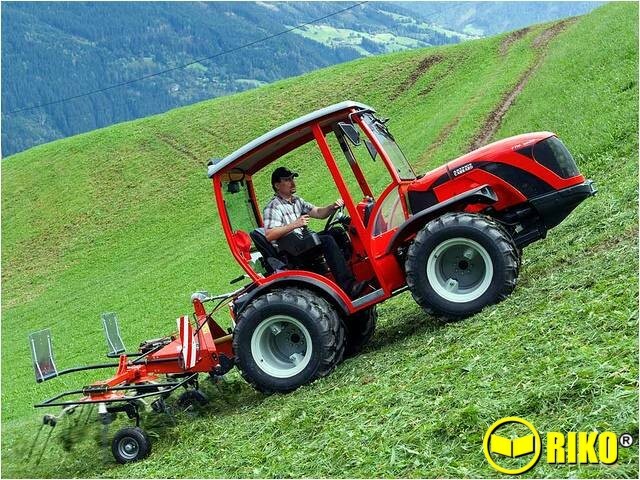 Mountain pastures, hillsides, flat country, sloping vineyards and orchards, embankments, urban parks, sports fields - football, horse-riding and golf, etc. 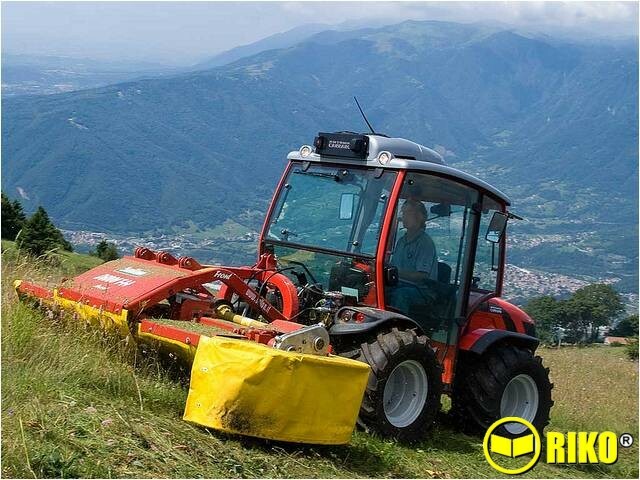 - wherever there are steep slopes or grass cutting to be done, TTR is a super-specialist in its category. 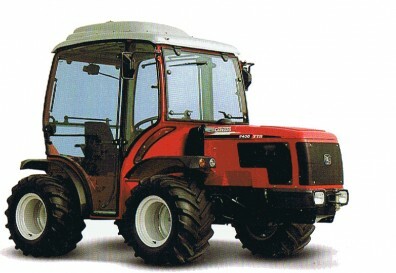 Its working speed, maneuvering precision and performance on slopes is impressive. TTR’s stability is peerless thanks to the width of its wheel track, its very low center of gravity and the 4 equal driving wheels with wide treads, which, together with an exceptionally powerful engine, constant traction and reduced turning radius, allow this vehicle to adapt to all terrains and cope with the steepest of gradient and uneven ground, in all conditions and climates, through the entire year. 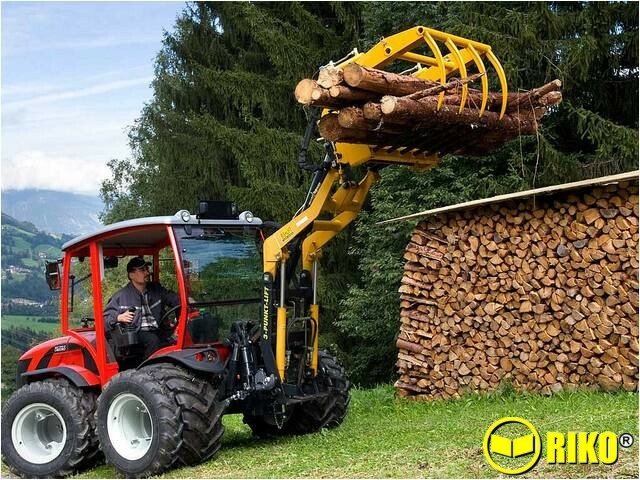 Its reversible driving system, multi-function joystick and extraordinary visibility highlight its ergonomics, simplify work and reduce operator fatigue. The TTR is available in 3 versions: 7800 at 70 hp, 4 cylinders, 3300cc, 16 valves; 9800 at 87 hp, 4 turbo cylinders, 3300 cc (both engines featuring balance shafts with injection system and electronically-controlled EGR) and 10400 at 96 hp with intercooler.